ESTHER is looking for volunteers to participate in our second voter engagement canvass in Appleton. Integrated Voter Engagement (IVE) is a nonpartisan, volunteer-driven, direct voter contact program. It reaches out to those who feel most overlooked in our society and to working families typically ignored by partisan politics to say, “Your lives matter. Your vote matters.” It is among the most effec­tive ways to increase voter turnout. IVE groups like ESTHER train community members to reach out to their peers in a continuous, ongoing effort that increases the number of voters and leads to policy changes. The most effective IVE organizations add new people to the voter registration rolls, educate voters about election issues, make sure new and unlikely voters actually cast their ballots, and ensure that misinformation and intimidation don’t inhibit people from voting. In addition, IVE has a long-term impact by developing local leaders and involving people in shaping the public policy decisions that affect their lives. Like a similar canvass in November, this one will be conducted in Appleton’s Aldermanic District 2 (Ward 3 and a small part of Ward 1) near Edison School. We will gather at Emmanuel United Methodist Church at 5:30 for orientation and training, then fan out into the neighborhood from 6:00 to 8:00 pm. A group of women formerly incarcerated in Illinois will share their thoughts and feelings about being incarcerated when a play called “The Power of Grace” is presented by ESTHER-Fox Valley and Fox Cities EXPO (Ex-Prisoners Organizing). The presentation is supported by a Bright Idea Fund grant from the Community Foundation and will be follow by a panel discussion. The short theatrical piece was created from poetry written by the women. The script communicates the story of incarcerated women to the general public in order to break down stereotypes and encourage awareness regarding the U.S. criminal justice system. Presented from the prisoner’s point of view, the play is a window into the personal experience of incarceration, and represents a ritual of self-liberation. Is tearing families apart and turning away talented individuals the solution to our broken immigration system? What are we going to miss if we are not ALL here? Join us for an interfaith community event as we come together to hear the stories of DACA recipients, discuss the future of the program, and learn now to advocate for the passage of a clean DREAM ACT. Stand in solidarity with our dreamers, friends, and neighbors. Presented by ESTHER, Unidos Por Un Futuro Mejor, and Winnebago Worship Group Religious Society of Friends. 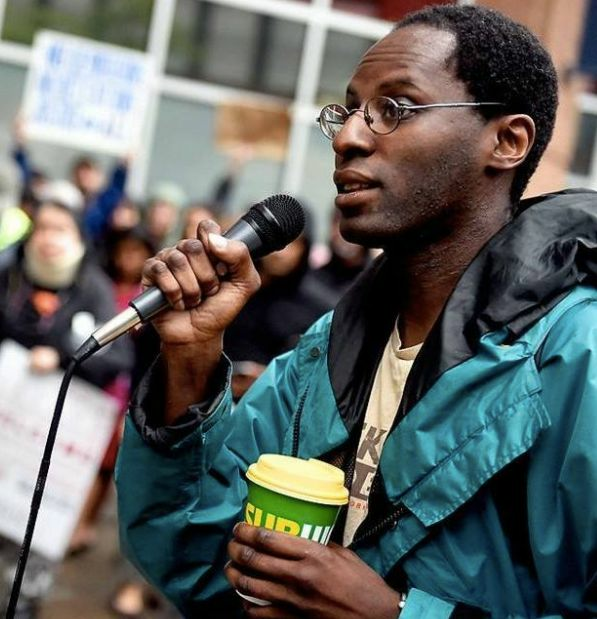 Community Column: "Let's Fight Social Injustice in the Fox Cities"
… to build relationships among people from various ethnic backgrounds, economic status, race, cultures and religions. It is through these relationships that we understand that there are other stories, other realities and other narratives. It is easy to live in a bubble and only interact with people who look like us, act like us, talk like us and believe the same things we do. However, if we hope to build a community which values dignity and respect we are going to have to be a lot more curious and courageous about who we see as our neighbors. Fox Valley Latinos/as need our help! The past couple of weeks have been a tough battle to stop anti-immigrant and racist policies. 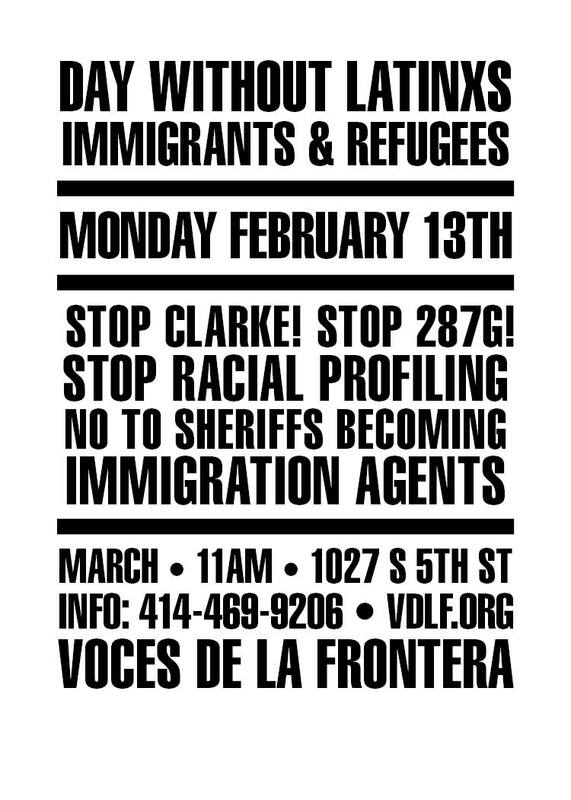 Monday, February 13, thousands of Latino/a families, advocates and allies will come together in Milwaukee to speak out against these policies and to lift up the many ways the Latino community betters the lives of all Wisconsinites. The gathering is called A Day Without Latinos. People from all around the state are standing together with Latinos/as because we know our lives are interconnected. We now have two full buses heading to Milwaukee from Appleton Monday morning. We are astounded by the outpouring of support! Local businesses, organizations, and individuals have come forward to help fund the buses, but we aren't quite there yet! We are asking you—especially if you want to stand in support of this action but cannot make it to Milwaukee—to sponsor the second bus. We need to raise $300. If you can give $10, $25, $50, $100 or more, you would be part of making this day possible! Click below to give online by credit-card or sign up to show your support now and pay later. Your gift is tax deductible. If we receive funds that exceed the cost of the bus, we will direct that additional support to Unidos por un Futuro Mejor in support of their work on leadership training and Latino organizing in the Fox Valley area. As of Saturday morning, there are still a few places left on the second bus. Buses will leave St. Therese parish in Appleton at 7:55 am, returning to Appleton by 4:00 pm. Contact Basy at 920/739-1226 to reserve your place. Muchas gracias for all you do to make ESTHER an organization that can be strong and flexible enough to quickly direct energy and funding into this critical work! Sí, se puede!